Jane has fond memories of baking at home as a child. These years of experience, combined with the freedom to experiment in the kitchen, have formed her passion for creative and innovative cake design. 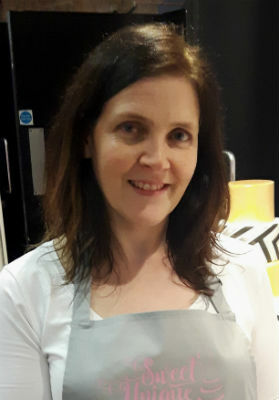 With an Honours Degree in Food Studies, time spent at Art School and experience in the cake design business, Jane was always going to be a professional cake designer. She has a passion for creating outstanding cakes and a natural creative flair. This shines through in every unique cake she creates. With a real sense of energy and enthusiasm, she will take any idea you have for a cake, use her experience and skill to come up with a superb design, and turn your idea in to an extraordinary, edible reality.